When you need to spice up your outfit for that special occasion, whip a pair of these gloves up in an afternoon. You won't want to take them off! "I loved the instant download . . . it is a favorite of mine!" This pattern has been featured on the Love It so Much website. 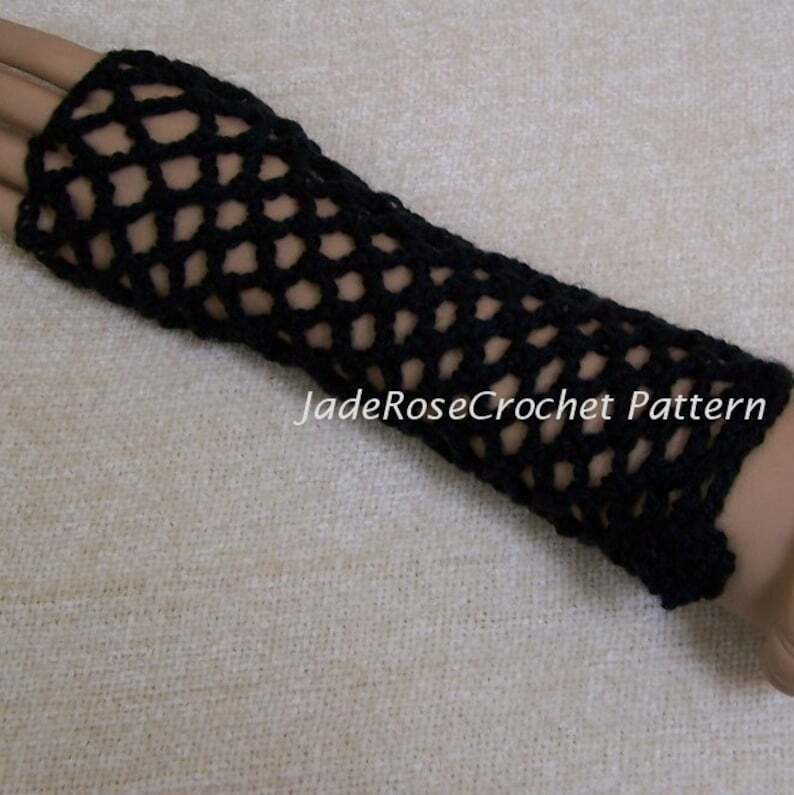 To make these gloves, all you need is knowledge of basic crochet , such as slip stitch, chain, single crochet, and double crochet. There are lots of pictures making it easy and fun. Share and Save: pin to Pinterest, or post to Facebook, send me the link by clicking, "ask a question" above, and receive coupon code for 15% off your next purchase. Sorry but these look ridiculous in person. Doesn't fit well and looks silly.